Listen, y’all. I know it’s almost September and that pumpkin and apple recipes are popping up all over the internet, but I don’t really care. I’ve made it through almost a month at my new school, and just before our first day, I made these cupcakes. I’ve made my fair share of strawberry cake, but my attempts haven’t been without some struggle. Layer cakes I’ve made have turned out undercooked and soggy. 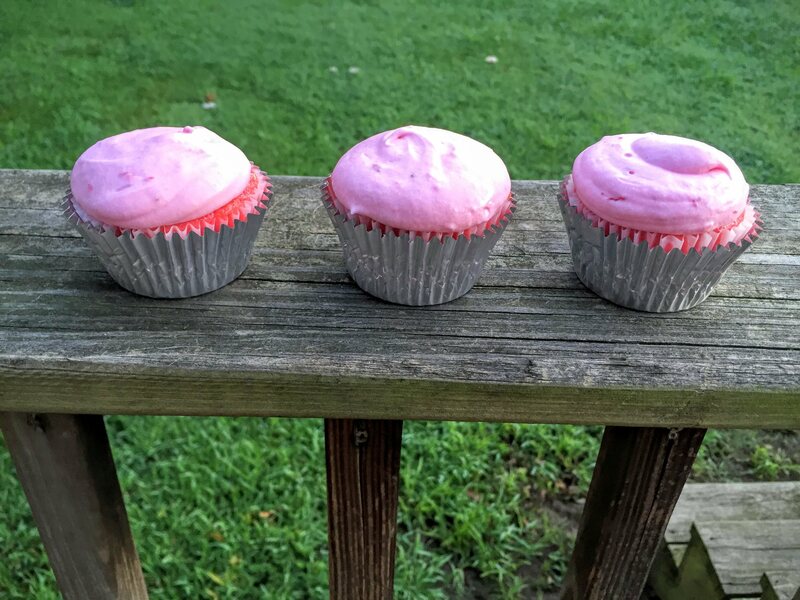 Cupcakes have browned to the point that they don’t resemble any shade of pink. And pies, well, pie is a different story. Anyhow, I was pleasantly surprised with how these cupcakes turned out, and they were just in time for a coworker’s birthday! I hope you enjoy them! In a small bowl, whisk the milk and yogurt together. Set aside. In a large bowl, mix the cake mix and strawberry gelatin together until well combined. The gelatin should be evenly distributed, tinting the mixture pink. Add the wet ingredients (butter, milk/yogurt mixture, eggs, vanilla) to the dry ingredients, and stir gently until combined. Fold the strawberry puree into the cake batter until the strawberry puree is evenly distributed. Spoon 1/4 cup of cake batter into each section of a cupcake pan. Bake at 350 degrees for 16 minutes, rotating at the halfway point. Allow to cool and frost as desired! *Note: I tested this recipe as a 2-layer 9 inch cake, and it worked just fine! 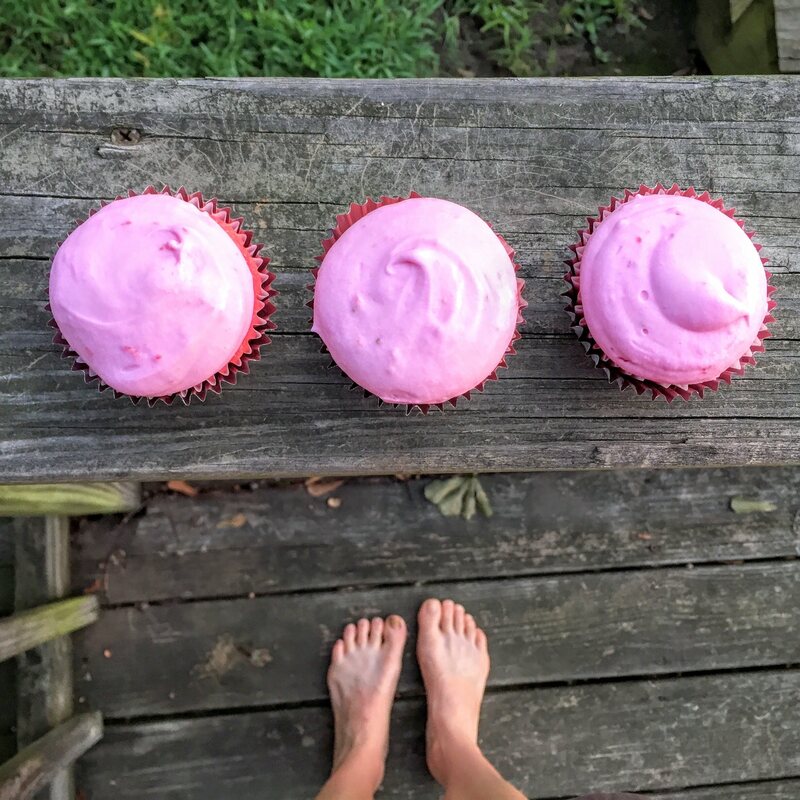 You can also add some pink or red food coloring to the cake batter before mixing in the strawberries for a bolder color.